John Calvin Allen, professionally known as J. C., worked as a photographer for Purdue University from 1909-1952, and operated his own photography business until his death in 1976. The J. C. Allen photographs represent an historical account of the transition from pioneer practices to scientific methodologies in agriculture and rural communities. During this major transitional period for agriculture, tractors replaced horses, hybrid corn supplanted open-pollinated corn, and soybeans changed from a novelty crop to regular rotation on most farms. During this time, purebred animals with better genetic pedigrees replaced run-of-the-mill livestock, and systematic disease prevention in cattle, swine, and poultry took place. Allen's photographs also document clothing styles, home furnishings, and the items people thought important as they went about their daily lives. Looking closely at tractors, livestock, wagons, planters, sprayers harvesting equipment, and crops gives one a sense of the changing and fast-paced world of agriculture at that time. This volume contains over 900 picturesque images, most never-before-seen, of men, women, and children working on the farm, which remain powerful reminders of life in rural America at the turn of the twentieth century. As old farmhouses and barns fall victim to age, Allen photographs are all that remain. While those people and times no longer exist today, they do remain "alive" because of the preservation of that history on film. 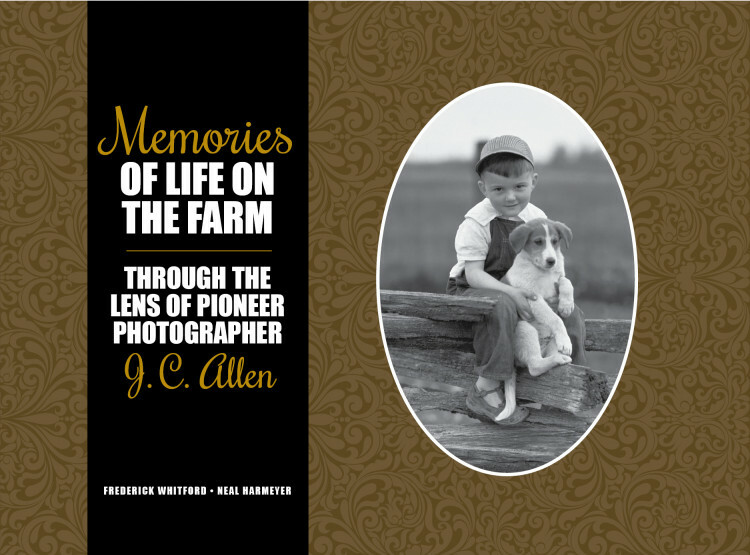 A camera in his hands and an eye for photography allowed Allen to create indelible visual histories that continue to tell the story of agriculture and rural life from long ago. Frederick Whitford works for the Purdue Cooperative Extension Service in the College of Agriculture. He received a BS in wildlife management from Louisiana Tech University, and an MS and PhD in entomology from Iowa State University. He has authored more than 250 research, extension, and regulatory publications, and has delivered at least 4,000 presentations to a wide array of audiences. He has written several other books about the history of Indiana agriculture, all published by Purdue University Press. A downloadable brochure of Whitford's agricultural history books with discount information is available here.